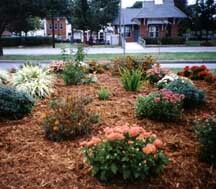 The public works department provides many of basic city services including Trash Pickup, Refuse Collection Restrictions, Snow Removal, and Landscaping. To contact Public Works call 301-864-1803. This page was last changed on Saturday, May 4, 2002. Questions, comments, or submissions? See the Website Committee web page. This page has been accessed 25715 times.